For $50, D-Link’s Wi-Fi Audio Extender is a great little tool for converting an older audio system into a wireless wonder. It might be tempting to jettison that old-school stereo system you’ve been clinging on to just because it’s missing modern frills like Bluetooth, AirPlay or Wi-Fi, but that would be a shame if it still pumps out good sound. Before going that route, it’s worth considering a way to bridge the gap and breathe new life into your classic sound system. D-Link says you can do just that, and beef up your Wi-Fi signal strength in dead zones with its D- Wi-Fi Audio Extender (DCH-225M). Since the Audio Extender connects to your Wi-Fi network to allow wireless audio streaming via protocols like DLNA and AirPlay, it can pull double duty as a Wi-Fi signal extender, potentially beefing up signal strength in hard-to-reach areas. Of course, for the latter attribute to be of any value, you’d need to have dark Wi-Fi zones around the area your sound system is placed. But even if that isn’t the case, this $50 plug-in device is still a potentially viable choice for its primary purpose of pulling your audio rig into the 21st century. With that in mind, we gave it a whirl to see how well it performed, and whether or not we would miss Bluetooth functionality as much as we thought. The size of the Wi-Fi audio extender’s box threw us off at first because it isn’t commensurate with the size of the device itself. The packaging seems excessive for something that could be comfortably clenched in someone’s hand. Sadly, you get no accessories with this little cube, not even a 3.5mm line-in cable. Other than the manual and sticker itemizing the login details for setup, there’s nothing else inside the box. 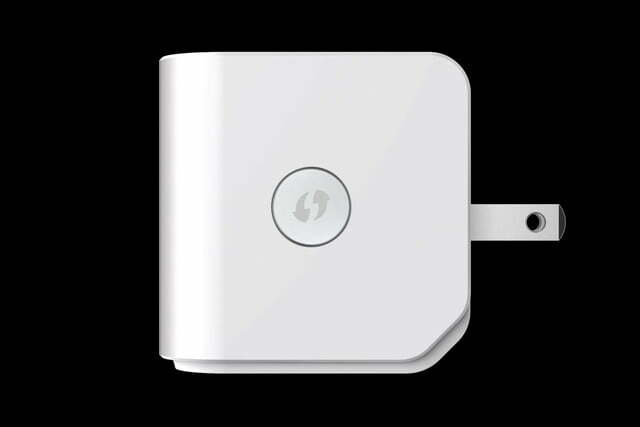 We hope you like white, because that’s the only color the Wi-Fi Audio Extender comes in. 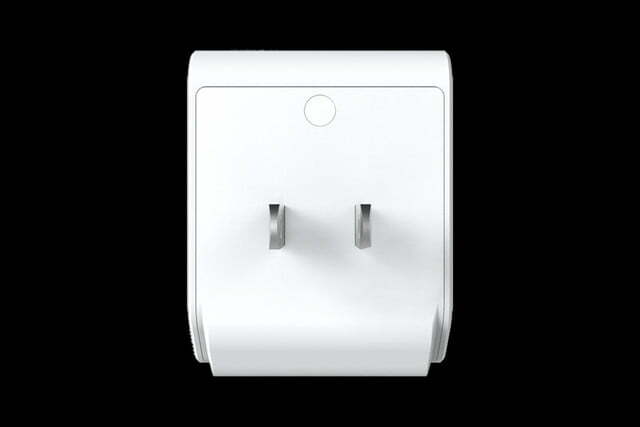 The device has two prongs on the back to plug directly into a wall outlet, along with a WPS (Wi-Fi Protected Setup) button on the side, an LED light in the front and a 3.5mm headphone jack on the bottom. 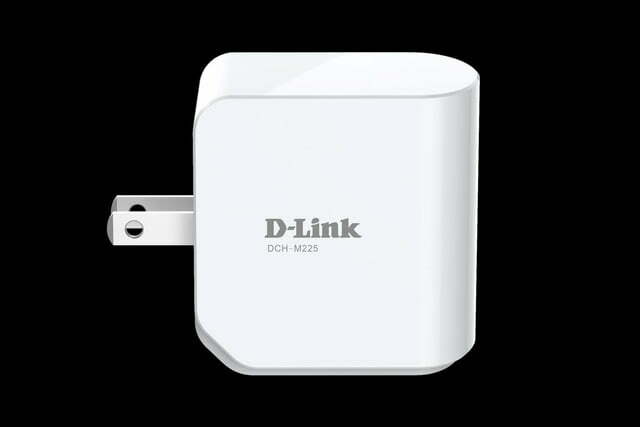 D-Link smartly designed the unit in such a way that it could plug in either the top or bottom of a wall outlet and still leave enough room to use the other one left open. It’s also portable and versatile enough to take it with you, should you have the need. The extender’s feature set includes WPA2/WPA encryption at wireless speeds going up to Wireless-N (802.11n), which tops out at a theoretical rate of 300Mbps. The WPS button is there to simplify setup with routers that support the feature, reducing the number of steps to bring it into the network. Once connected, it supports AirPlay for iOS devices, and DLNA for all devices that can stream media using that protocol. That latter feature is important because the device does not support Bluetooth. WPS setup went off without a hitch, which is more than we can say for other WPS-compliant devices we’ve used. But since many folk will go the manual route, so did we. To make things easy on ourselves, we plugged the Extender into a nearby outlet so that we could see its LED indicator flashing. Once powered up, we logged into the device via Web browser on a computer using the security credentials laid out on the included sticker (using a smartphone or tablet is also an options). From there, we provided the Extender with our router’s login info, and instructed it to link to our home’s network. Once the flashing yellow LED turned a solid green, we were good to go. We then moved the Extender to different outlet, located further away from our router, and in close proximity to a wired speaker. The last step involved linking the device to our speaker with a 3.5mm male-to-male cable, which we happened to have laying around. The entire manual setup process took 10 minutes from start to finish. We started out using an iPhone to stream both locally-stored tracks and tunes from the likes of Songza, Spotify and Rdio via AirPlay. We mirrored the process with Android devices and computers via DLNA, which required the use of DLNA-compliant apps and music players. In every case, the stream was smooth, with no issues in recognizing the Extender. We did note that there was a 4 second delay between taking an action on the host device and hearing it executed on the connected speaker. For example, if we wanted to pause, skip a track, or play music from a different app, this delay was consistent throughout. We then tested to see if proximity to the router shaved any time off that, but found no real difference. Over time, the delay bothered us less and less because we were just thrilled to be able to listen to music wirelessly, especially using AirPlay, using an outlet on a balcony or patio. Speakers and stereo systems that might have been dormant or limited in capacity before were now given a little bit of new life because of the Extender. 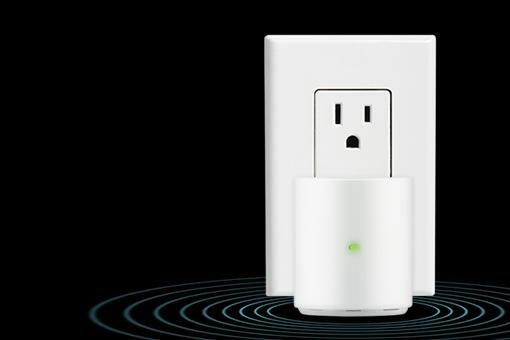 However, we aren’t entirely sold on the device’s ability to extend a router’s Wi-Fi signal into trouble spots or dead zones. The fact that it only supports Wireless-N and legacy protocols means it doesn’t take advantage of the superior range and throughput of Wireless-AC. That means slower speeds for anyone using a Wireless-AC compliant device and router. Mind you, that consideration is based on the Extender’s ability to actually extend in the first place. We experienced some sporadic hiccups that we attributed to the unit’s capable bandwidth. 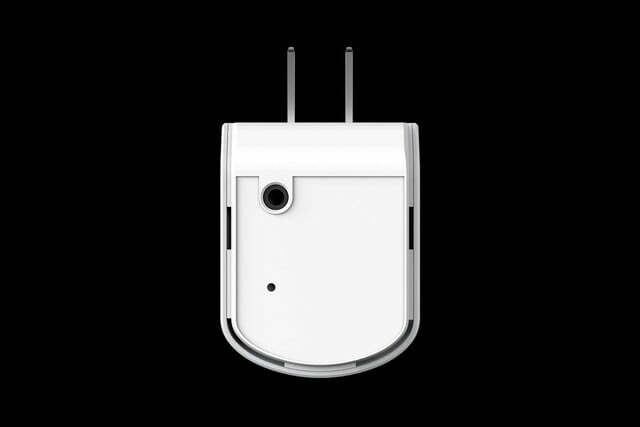 D-Link says the device can bounce a signal off walls and help penetrate hard-to-reach areas, and while that may be true, we found that the device’s capable range plays a big role in how well it works. The type of router being used also affects performance – the better the router, the better the Extender performs. 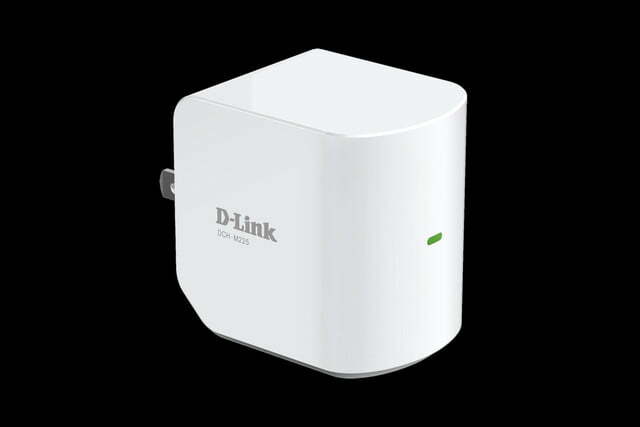 The lack of an Ethernet port precludes D-Link’s Wi-Fi Audio Extender from being used as a hotel room Wi-Fi access point (the company has another product for that purpose), which would’ve been a nice addition. Then again, we can imagine some scenarios in which it would come in useful for extending a hotel’s Wi-Fi signal, assuming you can find a place where it is strong enough to extend in the first place. With that said, if we remove the Wi-Fi extension feature as a consideration and focus on the device’s ability to serve as a wireless audio accessory, our opinion is overwhelmingly positive. The Extender does a fine job of making older speakers or audio systems relevant in the wireless world of AirPlay and DLNA. Other than the noticeable delay and the odd hiccup, performance was perfectly acceptable, overall. 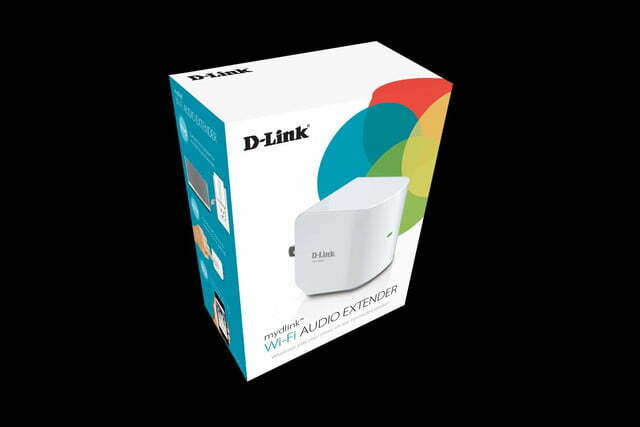 Bottom line: Buy D-link’s Wi-Fi audio extender for its wireless audio chops and not for its Wi-Fi extension abilities. For $50, it’s a great little tool to use at home or on the road when you need to convert an older audio system into a wireless wonder.